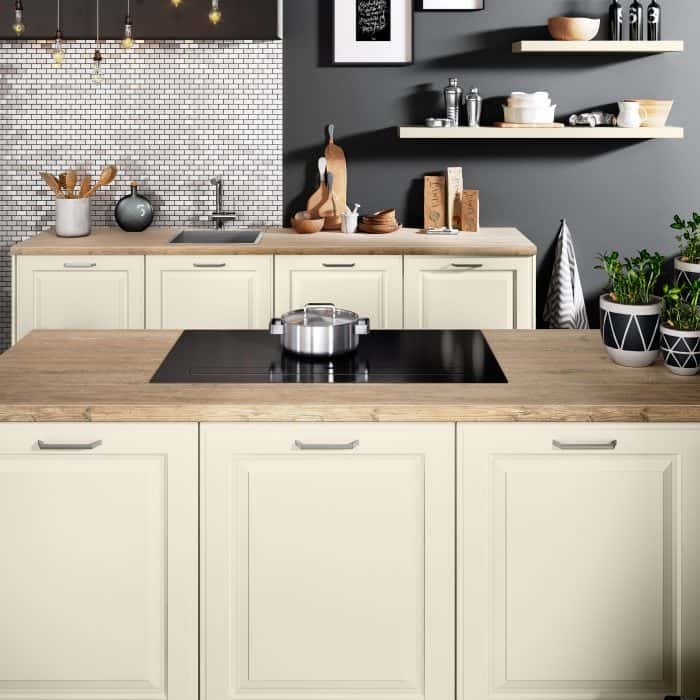 We are a family run business based in Shefford, Bedfordshire, and have been designing and installing kitchens across Hertfordshire and Bedfordshire since 1971. We have two small teams of staff – one based in our Shefford showroom taking care of the kitchen designing and administration and the other is our installation team who is busy making your dream kitchen come to life. It is important to us that you will always know who to expect when you call or visit our showroom, and also when we come to install your kitchen. We offer a design service which is completely free of charge with no obligations. We are able to source quality kitchens from Germany and handmade kitchens from the UK. We use appliance brands Neff and Siemens providing you with a beautifully high end kitchen along with the latest trends and technology. Our expert kitchen installers are fully trained and qualified, and will carry out an installation which adheres to all of the current legislation. We occasionally install kitchens further afield so please enquire with us to discuss. We supply and fit top quality German kitchens and kitchens handmade in the UK.